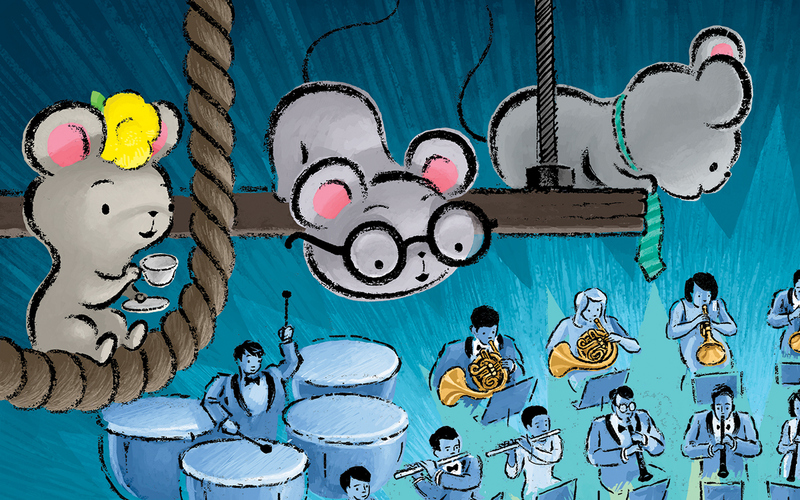 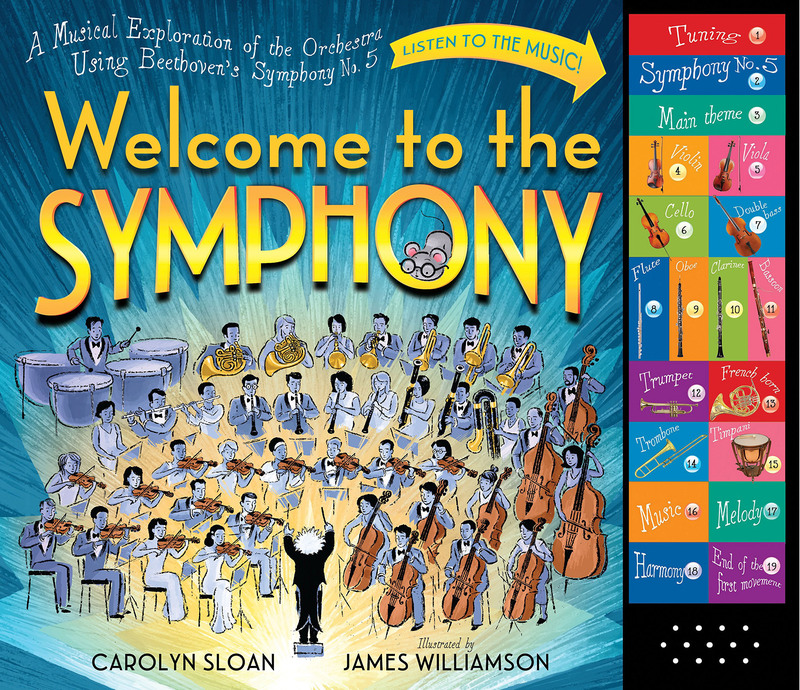 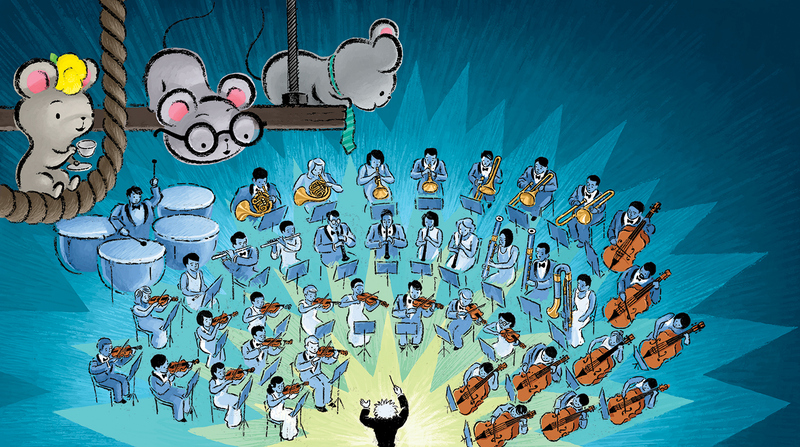 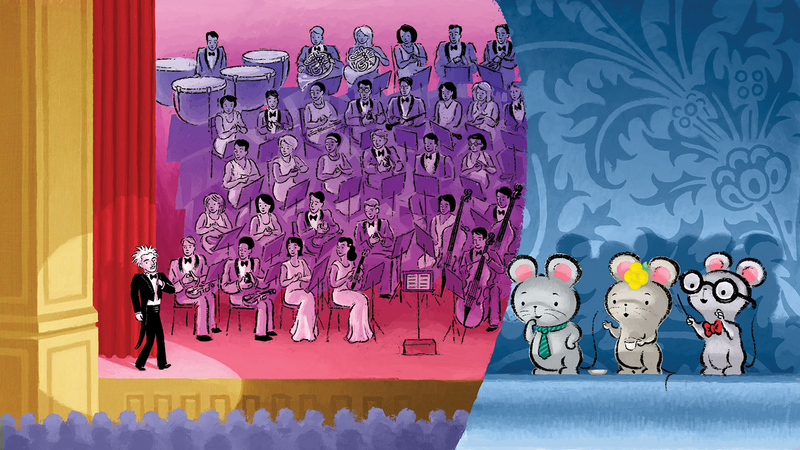 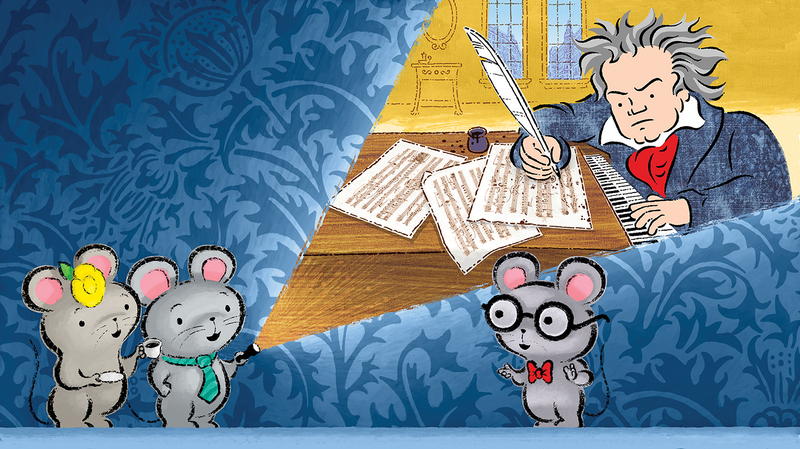 Welcome To The Symphony is my latest project for Workman Publishing. 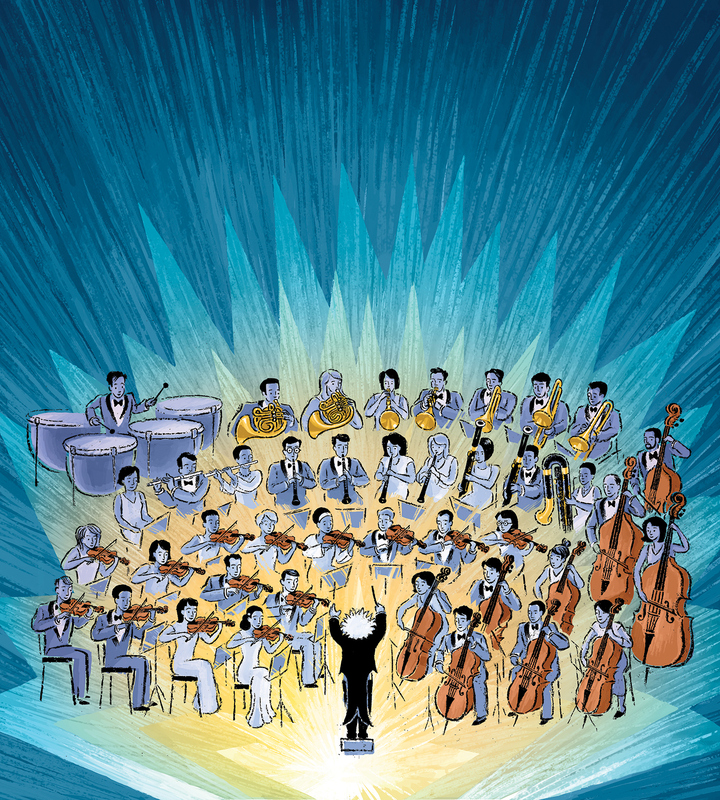 Written by Carolyn Sloan, it explores the symphony using Beethoven's 5th. 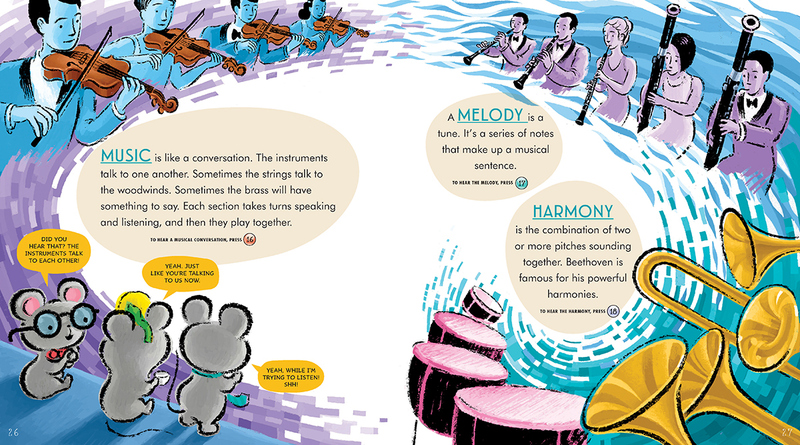 It has 12 interactive buttons that play different parts of the composition and represent all of the different sections, woodwinds brass, etc. 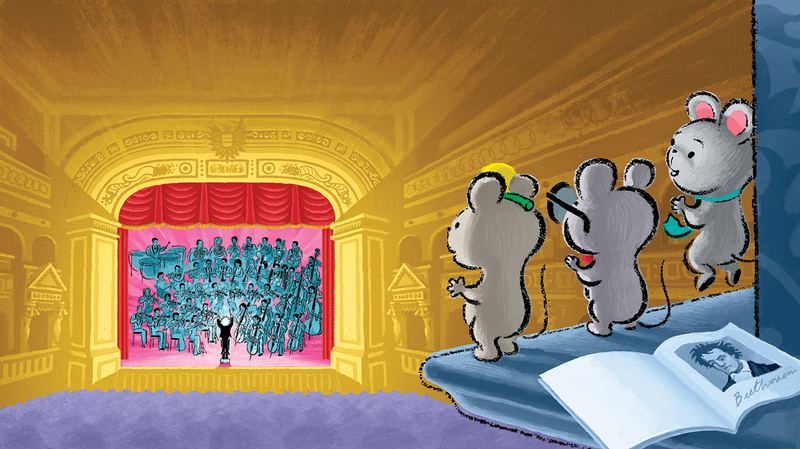 The illustrations were created completely digitally with Adobe Photoshop and my Intuos 3 Wacom tablet.